One of the greatest things about starting a new school year is that you get to begin with a clean slate. You can decide how to decorate your room, how to organize your schedule and how to teach your students. Sometimes, though, it hits you that you just spent a whole school year teaching one class what you expect from them, and now you have to start all over again with a new class! However, nobody can deny that teaching your students appropriate behaviors right from the start is a sure-fire way to gain control of your classroom. So how do you get your students to follow your directions? Read on to learn some of my secrets! Perhaps the most basic behavior you need to teach students is how to follow directions. You need to spell it out for them very clearly. It’s one of the hardest behaviors to teach in kindergarten! For many students, this is the first time they’ve ever been in a structured school setting, so they simply don’t understand what directions are all about. One way I teach my students to follow directions is by using cards that have visual direction icons on them. As I explain the activity we are about to carry out, I first model what I want them to do using an example for the group to see. Then, I use my direction cards to visually reinforce my expectations. For example, I will say, “First, I need you to write your name on your paper.” I will put up an icon that represents “name” next to the number one. Then I might want them to color before cutting, so I will say, “Next, I want you to color and then cut,” as I put up the icons for “coloring” and “cutting” next to the numbers two and three. I magnetize the icon cards so that I can easily stick them onto my magnetic whiteboard. After all of the direction icon cards are up on the board, we go through all the directions together, with the students performing a choral response to my cues. I will say the number, and my students will respond with the action I want them to take. For example, I say, “First …” and the students respond with “Write your name!” This takes weeks of practice, as with many behaviors you teach, but it has really helped cut down on my students forgetting to write their names on their papers, as well as reducing confusion during projects. 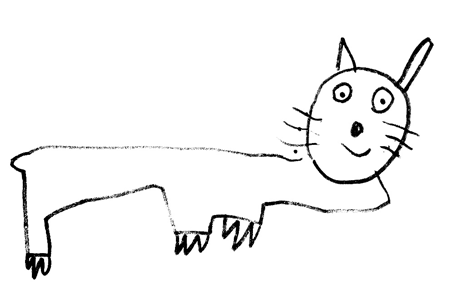 It also helps my students learn how to follow directions with two to three steps. Another important tip for managing behaviors is to positively reinforce the ones you want to see more often. There are two types of reinforcements you can use: whole-group reinforcements and individual reinforcements. Whole-group reinforcements are a great way to teach your class to work together as a group. If all of the students are working quietly and on task, then the whole class gets rewarded. One of my favorite whole-group reinforcements is a marble jar. 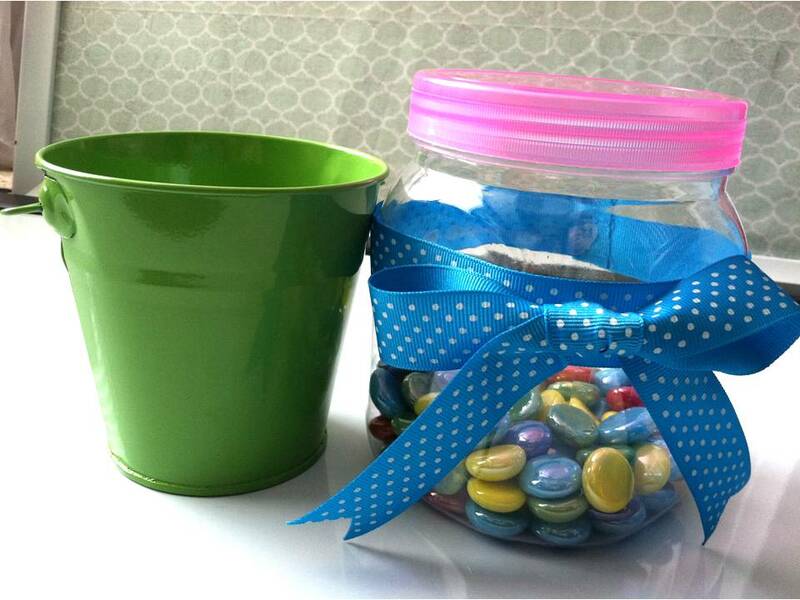 Marble jars are effective because the reinforcers are visual; the students see exactly what they’re working toward. To set up the marble jar, you will need two containers. I like jars. 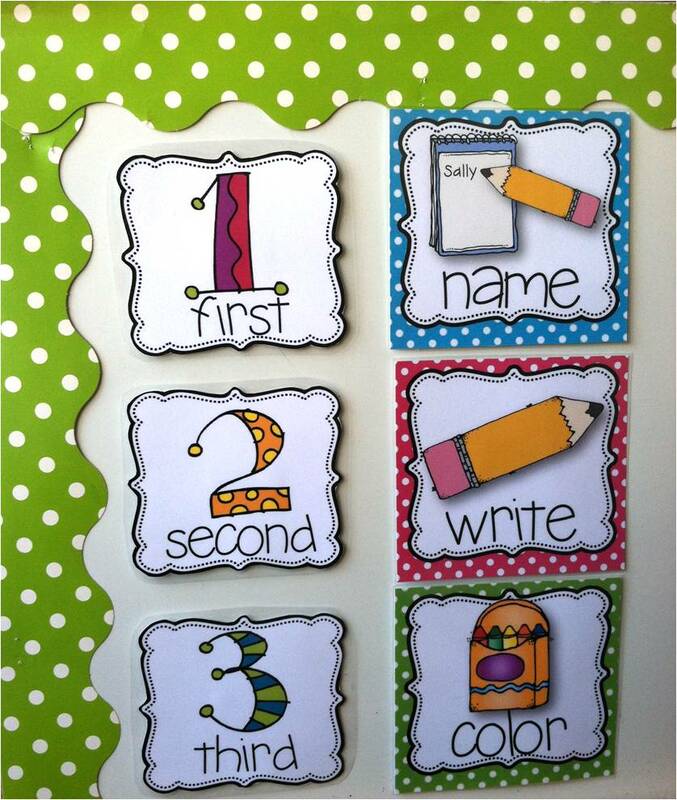 This works best if the jar you are filling up is clear so that the students can see their progress. The jars do not need to be large – in fact, a smaller jar is better, because it makes the prize seem more easily attainable. As I see my students working, I use the marbles to reinforce the behaviors that I want in my classroom. These behaviors might include my students lining up quietly before a transition from one activity to the next, working appropriately during group activities, or working quietly during independent activities. When I’m first getting them used to the marble jar, I’ll say, “I love how you are all working so hard finishing up your writing. You all earned 5 marbles.” As I say this, I’ll drop 5 marbles into our clear marble jar. I like to make it dramatic and drop each marble in, one by one, so it makes a nice “plunk” when it falls. It also incidentally provides counting practice, as my students always count along with me while I drop in the marbles. As they get more familiar with the way the marble jar works, I say less and less to them as I drop in the marbles – maybe just “Thank you,” as I drop three marbles into the jar. Sometimes, I don’t even have to say a word! A fun twist to the marble jar idea is allowing my students to help put the marbles into the jar. If we are singing during Calendar time, and I am not near the jar, I will say, “Wow! I loved how everyone was singing along to that song! Sally, can you drop 4 marbles into our jar?” The students love to help, and they will try hard to be the one who gets to drop the marbles in. When the marble jar is filled up, the class earns their prize! The prizes can be something you choose, or they can be left up to the students to choose together, as a class. They are typically things like a movie in class, a popcorn party, a popsicle party, or extra recess time. Individual reinforcers, on the other hand, are a great way to reward students individually. There are many, many ways to do this – some of them are verbal praise, tangible rewards, and classroom coupons. Here is an individual reinforcement technique that works very nicely at the beginning of the year. I give each student a small sticker book at the start of the year. This can be a little journal like what you find at party stores, to be used as a party favor. Alternatively, you can simply staple paper together to make a mini-book. 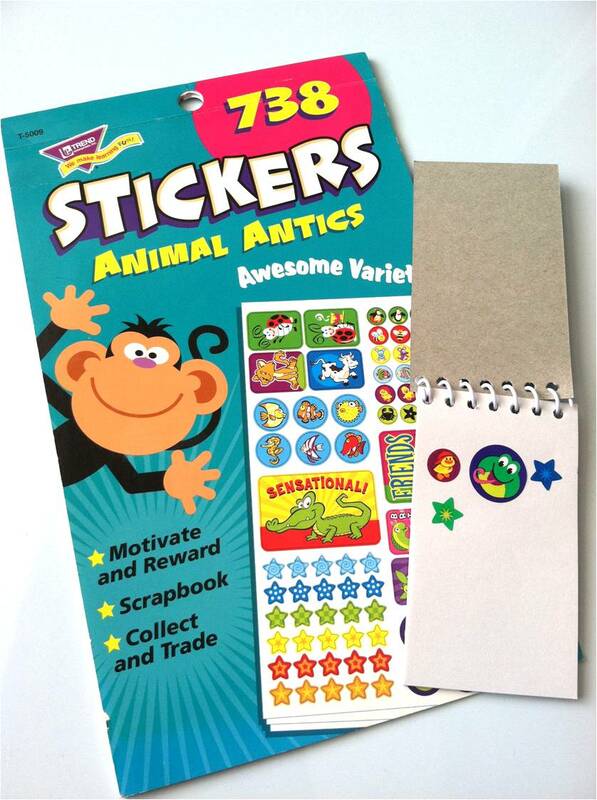 You can also make sticker cards instead of sticker books, using index cards or plain paper. You can purchase a book of mini stickers inexpensively at any teacher-supply store, or online. Around holidays, it’s fun to use themed stickers. When you see a student displaying an appropriate behavior, reward him or her individually. I often do this when I see one or two students following directions well, and want to get the rest of my class on task, too. After giving the class a direction to put their books away and come down to the carpet, I might say, “I love how Tommy came down to the carpet so quickly,” and walk over and give him a sticker. If my students are near their sticker books, they will put their stickers directly on their books. However, I also teach them that if we are working on the carpet or at a reading table when they earn a sticker, they should keep their stickers on their hands until they are near their books again. The other students see that one student has been rewarded, and they rush to imitate the correct behavior. A nice touch is that once a student has collected 25 stickers, he or she can trade the stickers in for a prize! Prizes might be decorative pencils, fun erasers, or any other “treasures” in the treasure box. In order to keep track of which stickers have been redeemed, I use a marker to cross them off as I count them. The students love to earn and collect stickers, and they really work hard to show their best behaviors. These ideas are a great way to kick off your classroom management repertoire, and they can be used throughout the year. And if you find that your students are no longer responding to the rewards you started out with, never fear. That is just your cue to try something different! Your classroom management tools are only effective as long as they move your students. Have fun, stay on your toes, and always be ready to dream up creative new ways to engage your students’ attention! Nobody can deny that teaching your students appropriate behaviors right from the start is a sure-fire way to gain control of your classroom. Hadar Maor, author of the award-winning education blog "Miss Kindergarten" (http://www.miss-kindergarten.com/), has known that she's wanted to be a teacher since she was in second grade. She has been a classroom teacher for four years and is currently working on obtaining a master's degree in Early Childhood Education. Hadar loves organizing, crafting, DIY projects, and sharing her passion of teaching and blogging with others.